Last year SlowBurn Records released the self-titled debut by Cobracalia, which started life as the Black Sun Ensemble album that was half-finished when BSE founder and guitarist Jesus Acedo passed away. Former BSE members plus additional musicians forged ahead and completed the swansong BSE album – Behind Purple Clouds – which was released in late 2013. The Cobracalia album was the result of the musicians who completed Behind Purple Clouds continuing to work together and consisted of a complex yet accessible brand of spacey ethnic inspired Prog-Psych orchestra. 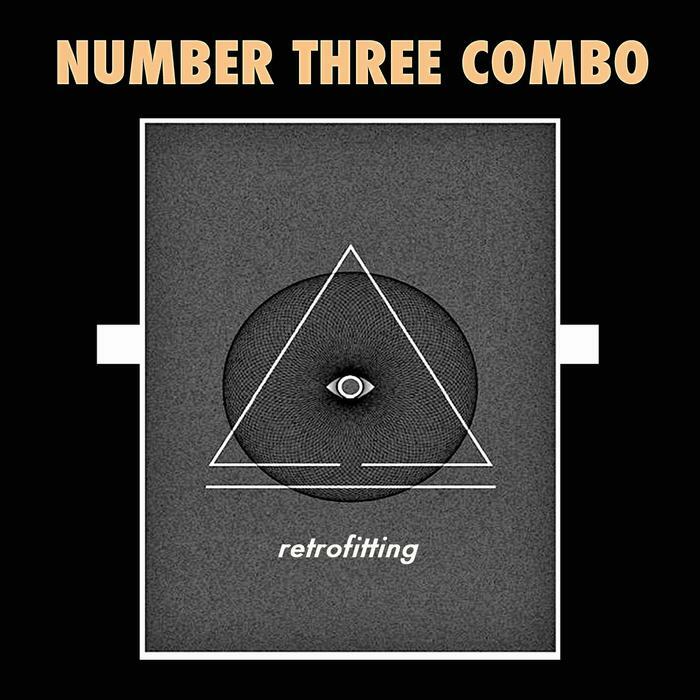 Number Three Combo is a musically related but instrumentally stripped down trio made up of former BSE members Eric Johnson on 12-string acoustic guitar and vocals and Joe E. Furno on flute, plus Cobracalia percussionist Carl Hall on ethnic percussion. Those are the principle instruments but there is also organ and electric guitar in supporting roles throughout. The album opens on a spacey, trippy, ethnic flavored note with The Empty Quarter. Arabian Nights and big production harem dance images are conjured up as the music rocks out, grooves joyously and Psychedelically swirls. The trio take on the Blues standard Driftin’ Blues, which is a vocal number and a very interesting piece which morphs and mixes a folky brand of Blues with dreamy ethnic vibes and potent soundscapes. I especially like the blend of acoustic Blues and floating flute melody. The 12-string soars on the lovely instrumental Sonora, supported by flute and percussion. From what I’ve described so far would you expect a Black Sabbath cover? There is!! Number Three Combo handle Electric Funeral with finesse as the flute takes on the main riff duties and the acoustic guitar and percussion add the expected ethnic vibe, plus organ and electric guitar adding a bit of beef to the music. Big kudos to these guys for taking a classic and totally making it their own. This may be one of the best covers I’ve heard all year. Beyond the Beyond is another vocal number with an organ, acoustic guitar, flute and ethno percussion combo that sounds really cool with Eric’s Bluesy passionate vocals. Ditto for Lonely Road, which is an Eric Johnson solo piece that puts the spotlight on his nimble acoustic guitar playing and vocals. Citadel is a power rocking Ethno-Prog instrumental that is both uplifting and intense. Last River is an equal parts acoustic guitar, flute, piano and percussion instrumental that segues smoothly into the final track, Born Too Late, which is a vocal tune that blends Eastern and Western influences and Progressive Rock elements to create a darkly intense yet hypnotic and cool grooving finale to this impressive set. In summary, there’s lots of variety here. I agree with the promo sheet that Number Three Combo will appeal to fans of Psych-Folk and Acoustic/Ethnic Rock, though I’ll add that Progheads with a taste for ethnic influences will find much to enjoy here. And of course those wishing to follow the continuing Black Sun Ensemble legacy will be delighted.